Garden gates are a key element of your property and affect the curb appeal, security and privacy of your home. It’s therefore essential that you find a garden gate which meets your requirements and suits the style of your home. Here at B&K Timber we supply a wide selection of garden gates in Birmingham and throughout the rest of mainland UK from our workshop in Staffordshire. We’ve been producing wooden garden gates for over 30 years, and are experts in producing bespoke garden gates which are crafted to the highest standards. To ensure that our gates are both sustainable and of an exceptional quality we use only Scandinavian slow grown, joinery graded redwood timber which is PEFC and FSC certified. Finding the perfect garden gates in Birmingham is easy with B&K Timber! Simply browse through our garden gates to find a style which suits your property. Next, using our handy measuring guide send us the measurements of your gate to receive your own instant quote. You can buy our gates online and we’ve also supplied handy hints and tips on the recommended hardware and fixing kits on our products. 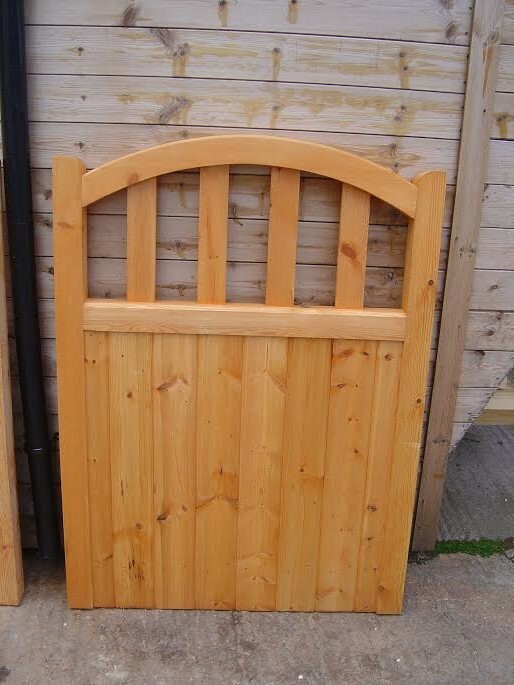 Our garden gates for Birmingham are finished in a spirit based wood preservative, and you can choose from brown, red cedar and clear dependant on your preference. Once you’ve decided on your garden gate, our delivery team will delivery your gate free of charge (in mainland UK). We don’t use third parties in our manufacturing and delivery service and this ensures that all of our garden gates meet the very highest standards from ordering to delivery. If you would like to find out more about our garden gates in Birmingham, then please get in touch with a member of our team. Don't forget we also provide high quality garden gates in Stoke on Trent, the rest of Staffordshire as welll as Manchester, Cheshire.